At first glance, renting a self storage unit requires no more thought than renting a car: find a facility, pick a size, provide some identification, sign the contract, and you’re all set. First thing's first: Follow these steps to find the best self storage facility for you. Proximity. For many people, this is the first and most obvious question. And for those living in urban and suburban areas, the abundance of self storage facilities allows for many choices. Questions to ask: Do I need to be close to my unit? How often will I need to access my items? When my contract ends and I pack up my belongings, where will I be taking them? Price. A quick scan of self storage websites and a few phone calls can give you an idea of the market price, but make sure you’re comparing apples to apples — that is, you’re checking prices for comparably sized units. Security. The most secure properties are monitored 24 hours a day, seven days a week and have a manager who checks the property frequently. Questions to ask: Who is on-site during office hours? Does the manager check the facility grounds or mainly stay in the office? Is he or she deeply acquainted with the layout, units and customers? Does the facility have video surveillance cameras, a keypad-controlled gate, a barbed wire fence? Access. If you need the flexibility of accessing your unit at any time of day or night, make sure you can do that. Questions to ask: Does the facility provide 24-hour access to the units, or can I only get in when the office is open? Can I drive up to my unit for easy loading and unloading of items? Commitment. You might need a unit for two months or 12 months — or, you might have no idea how long you’ll need one. Questions to ask: What are the contract terms? Can I rent month-to-month? Are there any fees associated with breaking my contract? Are there any incentives for paying in full at the beginning of my contract? 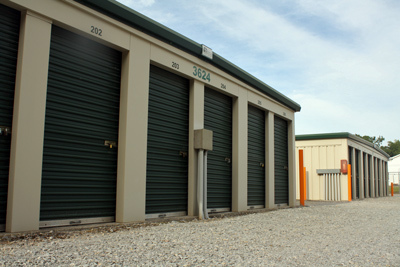 While renting a self storage is easy — at least at Turner Farms Self Storage — finding the right place to rent takes some thought and a little bit of research. But our comprehensive approach will help you cover all your bases as you find right the place to store your extra items.